Sarajevo, the capital city of Bosnia & Herzegovina, is mainly known for three things, two of them dark. The one non-dark thing is the 1984 Winter Olympics – still celebrated as one of the happiest chapters of the city's modern history. The dark chapters are related to a very different type of competition: war. The outbreak of World War One was sparked off here, when the heir to the throne of the Austro-Hungarian empire was assassinated in Sarajevo. And during the wars in the former Yugoslavia, Sarajevo gained the tragic title of the city under the longest siege in modern history (nearly four years, from 1992 to 1995/96). It is in particular those remnants of the recent war that place Sarajevo amongst the prime dark tourism destinations in the whole of Europe. More background info: Sarajevo entered the 20th century history books literally with a bang: when the heir to the throne of the Austro-Hungarian empire Franz Ferdinand and his wife were shot dead near the Latin Bridge in Sarajevo in 1914 – which triggered the outbreak of World War One. A new museum by the bridge commemorates the events today. It is, however, a relatively minor dark tourism destination compared to the sites related to the more recent war in Bosnia & Herzegovina, of which the siege of Sarajevo was one of the most significant elements. In fact, it was the longest such siege in modern history and the worst since WWII. The siege started shortly after the declaration of Bosnia-Herzegovina's independence (following the previous secessions of Slovenia and Croatia from Yugoslavia). The Yugoslav central government under Slobodan Milosevic opposed the new independence, and inside Bosnia the Bosnian Serbs formed their own "Republika Srpska", intended to become part of a Greater Serbia – effectively seizing about half of Bosnia-Herzegovina's territory. Sarajevo, the capital, was right on the dividing line. Before the war, its population included about 30% Serbs – and one of them was the notorious Radovan Karadzic, a doctor at a Sarajevo hospital before the war, who became president and military commander of Republika Srpska. Its military inherited much of the Yugoslav army's arsenal – and received direct support from the remaining Yugoslav military – whereas the Bosniaks were seriously underequipped. However, they outnumbered the Serbian aggressors, and the city centre with its narrow streets was too difficult to capture outright. And so the Serb forces (under the command of General Mladic – cf. Srebrenica) surrounded Sarajevo and cut it off from the outside world. Tanks, mortars, rocket launchers etc. were deployed in the hills overlooking the city and they pounded it relentlessly and almost indiscriminately for the next few years. Almost every house in Sarajevo sustained some degree of damage, even hospitals and cultural treasures, such as the National Library, were targeted. In addition, the city's civilian population was directly targeted by snipers. 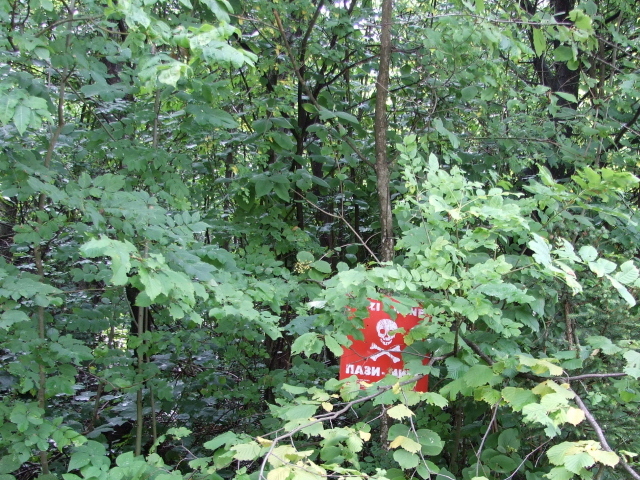 In total, over 10,000 Sarajevans were killed during the siege, including some 1500 children. The worst incidents were the two "markale massacres" of 1994 and 1995, when Serbs fired artillery shells into an open market, killing dozens and wounding hundreds of innocent civilians. After the second markale massacre in August 1995, NATO reacted by launching air strikes against Serb positions – which eventually forced the Serbs to the negotiating table. The Dayton Accords effectively ended the war in Bosnia-Herzegovina and the siege of Sarajevo was officially declared over in early 1996. During the siege, the population not only had to live through the hell of constant shelling and threat of sniper fire, but also that of food shortages, and electricity and water supplies being as good as cut off. But they held out, partly through internal ingenuity and assets (e.g. the Sarajevo Brewery was able to provide drinking water from its own supply), partly through supplies brought into the city through mainly two channels: UN food rations flown in to Sarajevo airport, held by UN forces, and, more spectacularly, through a tunnel dug under the airport connecting the city to the outside world and Bosnian free territory. The Sarajevo War Tunnel is often seen as the most heroic and admirable achievements of the Bosniak Sarajevans during the siege. Remarkably, their persevering resistance also included a continued cultural life, including underground theatre performances. In fact, the prestigious Sarajevo film festival was founded while the city was still under siege in 1995. Schooling also continued underground. It is truly remarkable how the city coped with the situation – while it now seems almost incomprehensible that the outside world did so little for so long to help. 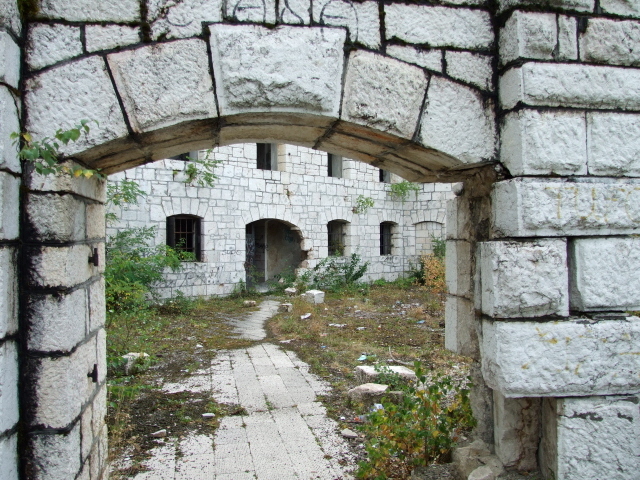 After the war, the city underwent extensive reconstruction – but still many scars from the war remain very visible in many parts of the city (see war ruins). What is also still visible is the fact that the division of the country's population is still very much a fact of life, even though it also underwent a significant shift, with the Serb population now at a much lower proportion than before the war. 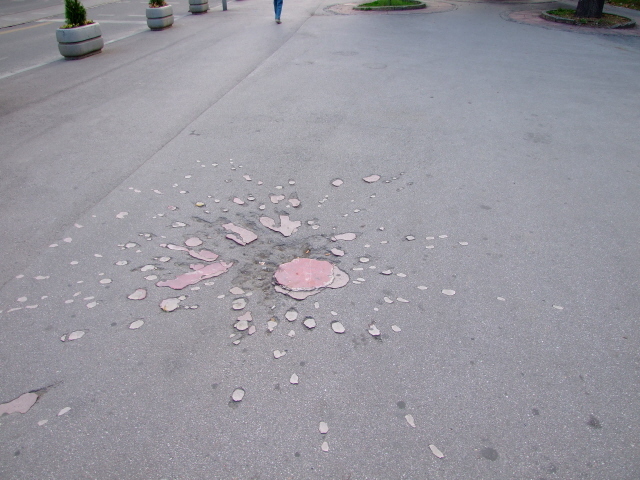 As soon as you venture out of central Sarajevo, however, esp. past the "Welcome to the Republic of Srpska" signs, you see that the conflict continues as a kind of linguistic war. The Serbs use a different script, which is largely identical to the Cyrillic alphabet, so place names on signs are written in both that and the Latin script used by Bosniak Muslims. Often, however, you see the Latin script equivalent sprayed over – and occasionally re-sprayed on. But at least in this graffiti war fought with spray cans rather than guns, no one gets physically hurt. But witnessing this does underscore the presence of the continued tensions in the country. Most tourists are steered past this, of course, esp. those who only come to see the picturesque Old Town. But for the dark tourist, the psychological element of Bosniak vs. Serb confrontation only just about kept at bay is quite palpable. You also notice it in the choice of language in the descriptions of the war, in brochures, tourist guides and memorial plaques: the agreed terminology amongst Bosniaks is quite clear and outspoken. Here the war is commonly referred to as the "Serbian aggression", and the opponents as "Serbian criminals", e.g. on the memorial plaque at the ruined National Library. Conversely, the heroism of the Bosniak Sarajevans is routinely emphasized – probably rightly so, but occasionally it is at least narrowly bordering on glamorization, e.g. on the guided tour of the war tunnel. Little wonder that the Serbs who still live in Sarajevo mostly keep to their own quarter – in what is commonly referred to accordingly as "Serb Sarajevo", a new town in the south-east of the city which is part of Republika Srpska – marked by those "Welcome" signs (even though the border is otherwise not so visible), but served by a separate public transport network. It all just reminds the foreign visitor of how recent this crazy war was, how fresh the (architectural) wounds are, and how fragile the "resolution" of the conflict really still is. 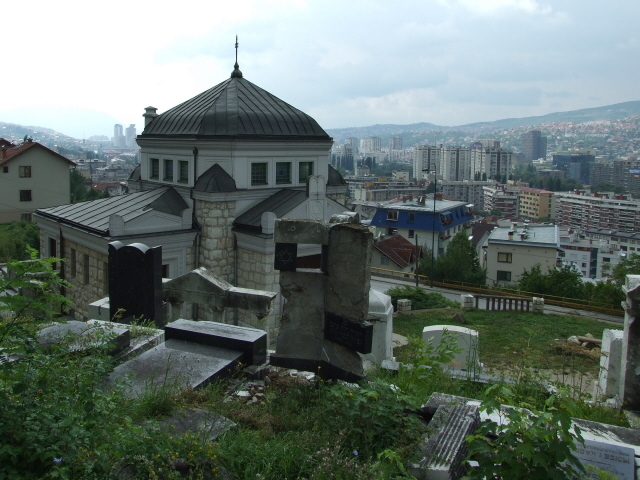 It's not least because of this element that Sarajevo is today one of Europe's foremost dark tourism destinations. Further fairly easily accessible dark sites, mostly related to the recent war/siege, include the siege monument by the Veliki Park on Marsala Tita boulevard and the memorial for the victims of the markale market massacres – so called for the carnage caused by Serb shells that hit throngs of hungry shoppers on two occasions at times when they thought it was a safe spell … The open-air market still functions today – right in front of the red wall with the victims' names as a constant reminder … it's located on Mula Mustafe Baseskija near the cathedral and the indoor market hall. 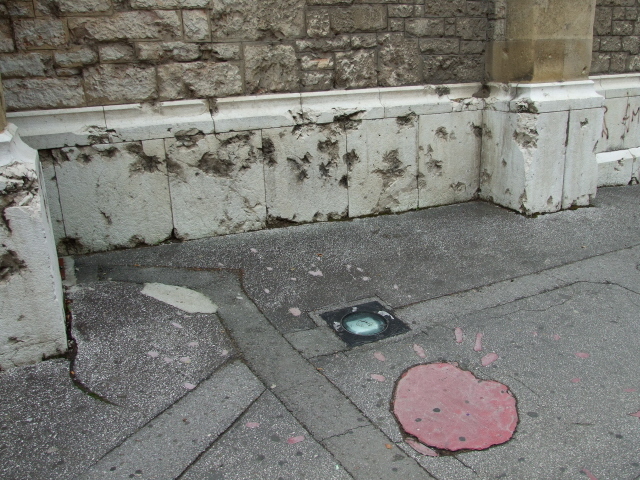 A general characteristic feature of the city are the Sarejevo Roses, which you will see in many places: these are scars left in the pavement or road tarmac by shells/shrapnel and many of these hollows have been filled with hardened red paint (or some sort of plastic) after the war to look like splattered blood and to serve as small memorials to the war victims. The red colour has meanwhile faded to a faint pinkish grey in most of them, but the "roses" are still quite noticeable all the same. A particularly large one is to be found by the western side of the cathedral in the city centre – and it is accompanied by quite deep shrapnel scars on the cathedral's wall itself. 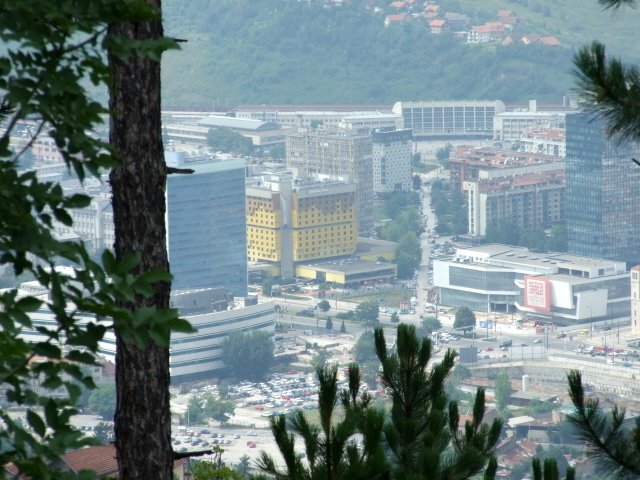 A bit further out, west of the city centre the wide boulevard of Zmaja od Bosne leading all the way through Novo ('new') Sarajevo towards the airport is what is commonly referred to as "Sniper Alley". At its eastern end is the iconic Holiday Inn Hotel (see also under access and costs > accommodation), where international war correspondents were based during the siege. Opposite is the restored Parliament, once Sarajevo's most noticable war ruin together with the nearby twin towers (also restored). West of the Holiday Inn more war ruins are lined up. 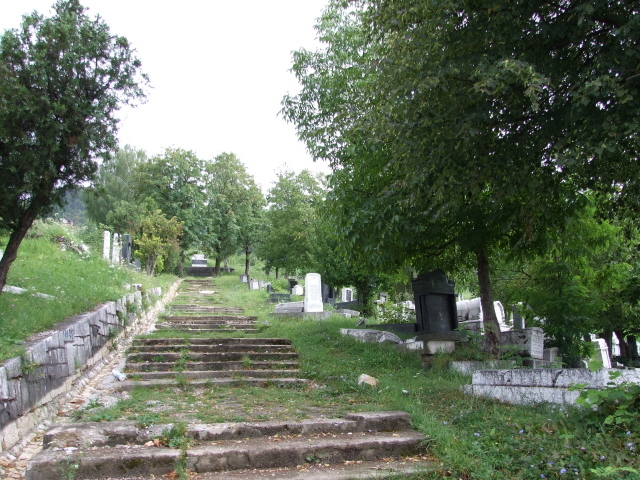 Noteworthy are also some of Sarajevo's cemeteries, esp. where most headstones bear dates of death between 1992 and 1995 (i.e. the period of the siege). Most are on hills above the city centre but can be reached either by an invigorating uphill march on foot or by bus. 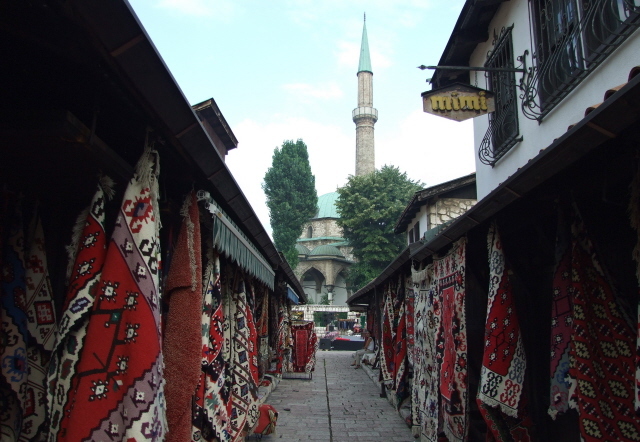 To get the maximum out of dark Sarajevo, it's worth investing in a guided tour. Look for a leaflet that includes the ironically entitled "Mission Impossible" guided tour by car which takes in most of Sarajevo's dark sites and goes beyond the touristy city limits to spots you could not otherwise get to on your own, even into the hills over Sarajevo – past mine fields (complete with the relevant red warning signs … unless they have been nicked again by people who then sell them as souvenirs – do not buy if you see one!) 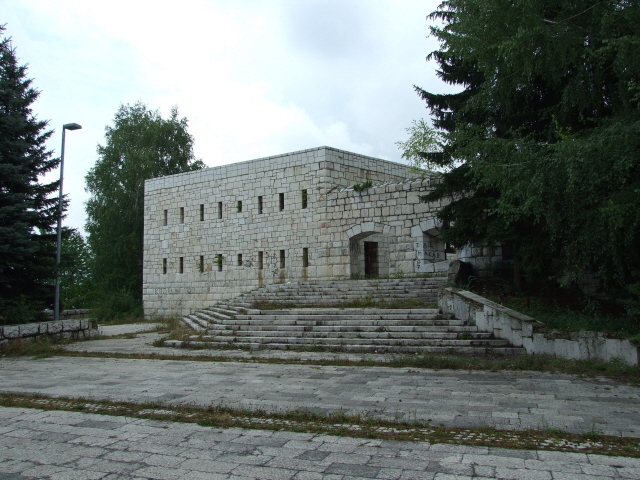 – and to some of the positions from where the Serb forces shelled the city, including the former Serb HQ building, which in 1995 was bombed by NATO aircraft and became another war ruin itself. Also very exotic is a visit to the Vraca, formerly one of the grandest WWII memorials in Yugoslavia, set up under Tito as it was the site of mass executions during the Ustasha Nazis’ regime in WWII. Now heavily vandalized and largely neglected (except by graffiti sprayers, looters and drug users), it is a pretty sad and grotty sight – but very captivating in its own way. The museum it once contained is empty, even all the metal manholes have been removed by looters, the eternal flame has long gone out for good, graffiti and spreading undergrowth reclaim the once glorious memorial … It's a totally unique place. 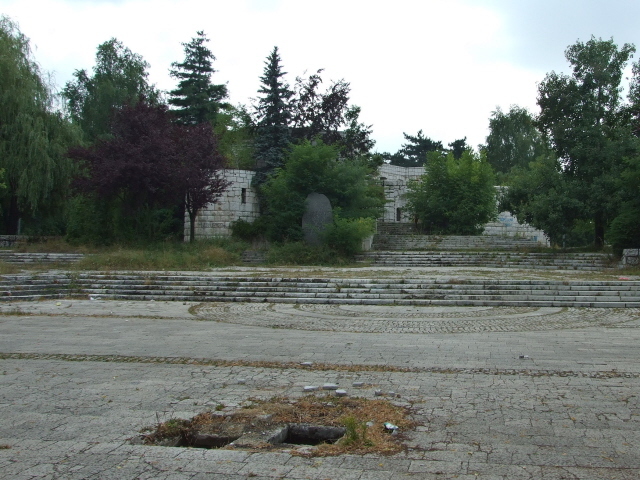 Sadly neglected is also the old Jewish cemetery, used by the Serbs as a mortar position under the assumption that they wouldn't be fired back at here ... a particularly callous reasoning of course, and also the reason that the cemetery now is so neglected. Only the small synagogue and the front wall and fence have been restored. NOTE: there seems to be a certain degree of in-fighting amongst different factions in Sarajevo's tourism industry – so that e.g. different hotels will make conflicting recommendations. There are also vested interests at play here. But don't let yourself be distracted by any of this. The safest bet is probably to go to the tourist information office in the city centre and state precisely what you want. I've been told that there are now a range of war- and siege-related guided tours on offer. Some hostels/hotels also offer their own tours to guests. Shop around. Location: In the centre of the southern half of Bosnia & Herzegovina, about 120 miles (200 km) south-west of Belgrade in Serbia, 180 miles (300 km) south-east from Zagreb in Croatia, and about 90 miles (150 km) north of Dubrovnik on the Adriatic coast. Access and costs: depending on mode of transport, fairly easy and/or cheap. Details: Sarajevo has an international airport and there are direct flights from hubs such as Frankfurt, Vienna, Milan or Istanbul. Flights can be pricey, however, so trains or buses are cheaper, though more time-consuming options. There are direct day trains from/via Budapest in Hungary or Zagreb in Croatia (but getting tickets for these trains from elsewhere in advance can be a major stumbling block – I didn't manage to get through tickets from Vienna, and in Budapest there would only have been 30 minutes changing time, most likely not enough for queuing for onward tickets in Budapest … so instead of factoring in an extra night's stopover in Budapest I opted for the bus …). There are also night trains – but border crossings and frequent ticket checks ensure you probably won't get much sleep. The cheapest but least comfortable mode of public transport is the bus – Eurolines (or its Bosnian subsidiary Centrotrans) operate various good connections. The long hours in a less than perfectly comfortable bus seat can be a bit gruelling, but for many it will be the only option … and it's quite doable. Getting around in Sarajevo is mostly easy, there are useful tram lines, and also buses and trolleybuses, but within the centre much is walkable. Many of the dark sites will require private transport or organized tours (see under what there is to see). Accommodation and food and drink can be fairly cheap compared to other European capital cities, although the top end can be not so far off Western price levels. 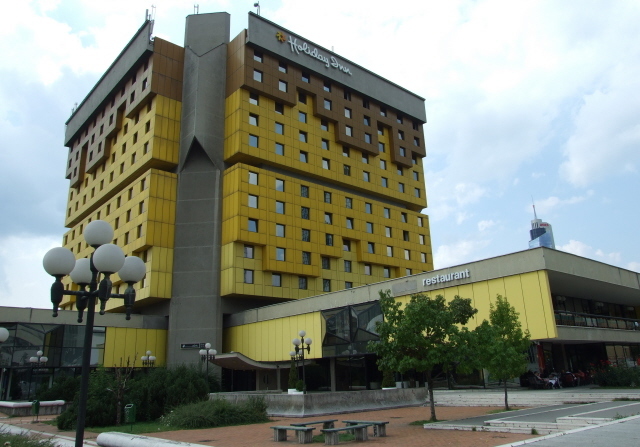 A particular option worth considering for the dark tourist is the Sarajevo Holiday Inn. This was the only functioning hotel in Sarajevo during the war/siege, and this was where foreign journalists stayed – it was also an iconic backdrop for many of the war-time images from the city in the media. So you'd be staying at a place of dark historical significance, which may be an incentive. The place gets slagged off quite often ... for having seen better days, for being overpriced and for being architecturally ugly. OK, it's not easy to refute all that, though I found the architecture, especially the enormous atrium at the heart of the interior of the hotel quite stunning … and the exterior is so ugly that that's almost stunning in its own quirky way too. The price level (at ca. 100 EUR for a double) may be above the city's average, but it's still not excessive. And it's functional enough and well located for both the train and bus stations as well as for a few of the dark sites. The Old Town is a 20 minute walk or a few tram stops away, which is also still quite alright. Just round the corner is the History Museum with its siege exhibition and just a stone's throw away from that is the sarcastic UN-aid memorial, round the corner from the Tito Café. The latter is also worth a look over a quick drink for its Tito memorabilia, including photos, newspaper cuttings, posters, statuettes and a full-scale bust of the old big man. Steel helmets serve as lampshades by the bar. Outside in front of the building a few military vehicles are on open-air display and clambered over by kids. At the very top end of Sarajevo's hotels is the modern shiny Radon Plaza, owned by the Avaz newspaper company (like the new landmark "twisted tower" by the station) and part of a business centre. This could be of interest to the dark tourist too for being right opposite one of Sarajevo's most impressive war ruins, that of the old people's home, and for having been built on a war ruin's stump itself: it used to be the Oslobodenje newspaper publishing house, which was right on the frontline and (above ground) was more or less obliterated by endless shelling (while the subterranean shelters continued being used for producing a daily newspaper all through the siege). Parts of the outlying buildings of the complex still show heavy scarring from bullets. A newer addition to Sarajevo's hotel scene, the re-opened Hotel Bristol (sometimes also referred to as "Grand Hotel Bristol"), also used to be a stunning war ruin until very recently. When I was there it was still a huge empty shell just off the main road into town, with a big sign saying "Hotel Bristol" rusting away on top of the roof. Now completely refurbished, it's a spanking new 4-star hotel. It is located even further out, though, away from both the Old Town as well as any sites of special interest to the dark tourist. Combinations with other dark destinations: Srebrenica can be reached from Sarajevo as a day trip – it's a 2-3 hours' drive away – and the same goes for Mostar (although the latter is worth a night's stopover). Combinations with non-dark destinations: Sarajevo is a significant non-dark tourist destination in itself, and there's no shortage of noteworthy architecture – basically from three periods, the Turkish Old Town with its narrow market alleys and mosques, the grand buildings from the Austro-Hungarian period, and modern structures such as the new "twisted" Avaz Tower, the tallest building in the Balkans, and a shiny new landmark.